On a never-ending war planet in the far future, Nyxnissa do Dasheem is a bel dame – a huntress for god’s justice, returning boys back from the front. Kameron Hurley’s been publishing short stories and creating this bellicose planet and society for some time now; this is her first novel. It has a strong woman protagonist, a non-Anglos in space future, and treats a (future-ish) Islam with respect. 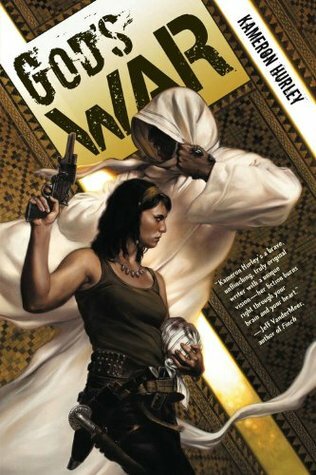 It’s neither preachy nor does it appropriate another culture, it’s just a strong first novel with a swashbuckling bounty hunter/political intrigue thriller. Definitely both one to read and an author to watch. And bugs. Lots and lots of bugs. I could easily write 100 words just on the bugs.